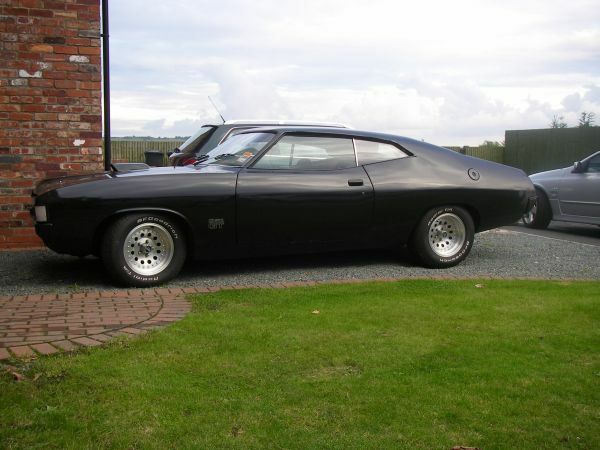 Dave sent us some information about the two late model Australian Fords that he owns. This is his 1995 EF XR6 with the factory option bodykit. Powered by the 164kW OHC 4.0 litre straight six engine, it has a five speed manual transmission and a limited slip differential axle. 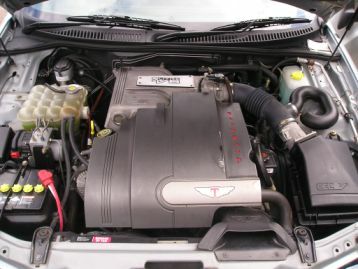 It is also fully loaded with air conditioning, cruise control, ABS, and electric sunroof. He was told that it was featured in some magazines when it first arrived here, and it would be nice to track one of those articles down. 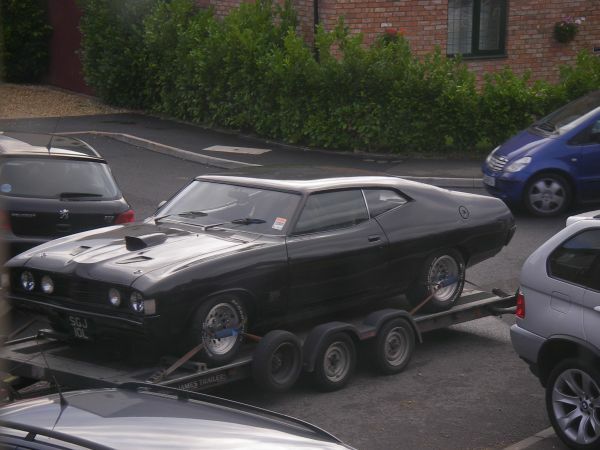 Dave bought the car from an ebay auction. 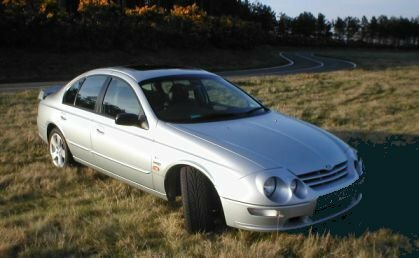 This car is a 2001 AU2 XR6 vct. The AU2 was the facelifted version of the AU, and this car has a similar specification to his red EL, except it has the more powerful 172kW engine, output being raised by the fitting of variable cam timing. 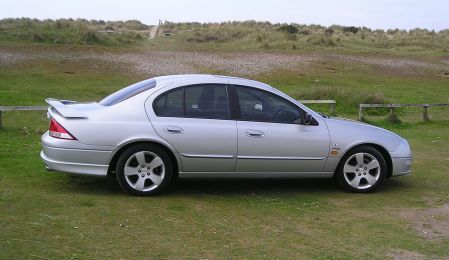 It also has black leather interior and six CD stack system plus the optional 17 inch wheels. 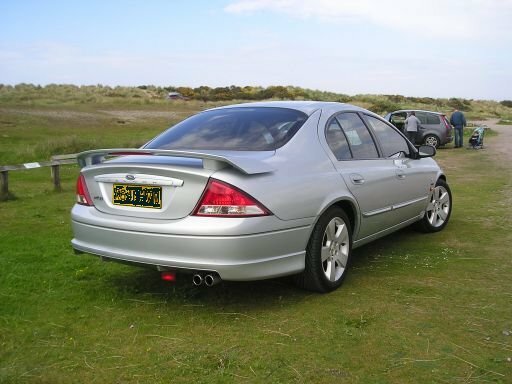 This car was originally imported as a Verte, which was a company that was set up to sell Australian Fords badged as Vertes here in the U.K. Dave has removed the special Verte badges and replaced them with the factory Ford ones. Both of Dave’s cars, being XR6’s, have had their engines, suspension and aesthetics enhanced by the U.K. company Tickford, which is used by Ford Australia, much the same as many European companies use tuning houses to market tweaked versions of their mainstream models. 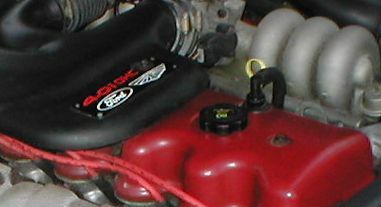 Notice the red cam covers on both of the engines which show that they were tuned by Tickford. And you can see the Tickford badge alongside the Ford badge on the air inlet box. 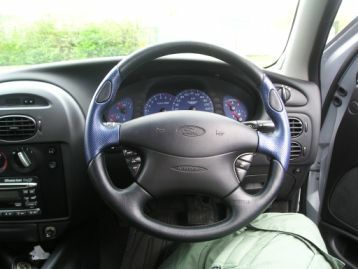 In addition to Verte, Dave was also able to supply us with some more interesting information about the availability of current model Australian Fords for sale and used here in the U.K.
Dave has been in touch with some exciting news as of 25th March, 2004. 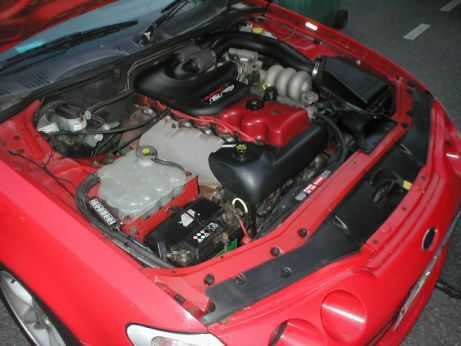 He has swapped his AU Series II XR6 for an AU Series II XR8. 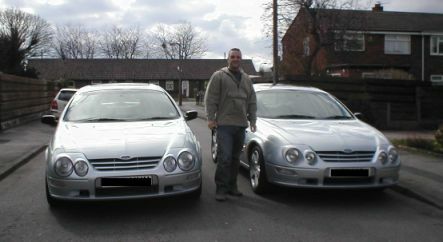 Here is the man himself with, on the left, the new XR8 and, on the right, the traded in XR6. 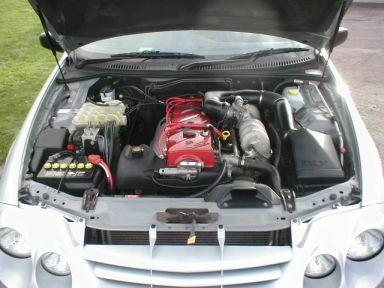 The XR8 is a May, 2001 car and features the 200kW version of the fuel injected 5.0 litre V8, modified by Tickford and having the signed plate on the drivers side rocker cover of the mechanic who assembled the engine. 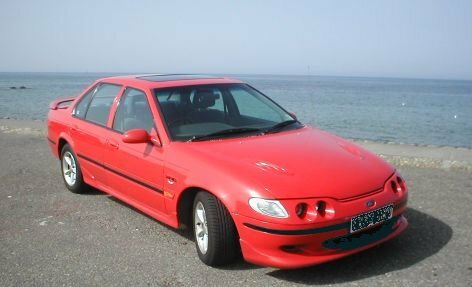 Otherwise, the car is very much a sister car to the XR6, and is almost identical in every respect, apart from the twin tail pipes, and a healthy dose of extra grunt. Looking forward to more details and pictures of the car soon. It seems as though Dave has sold the EF XR6, but has acquired Paul’s XA Fairmont. 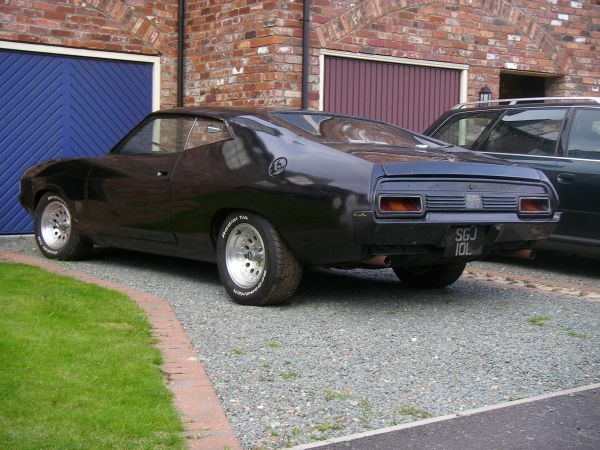 Hopefully, Dave can have it on the road, as he wants it to look, soon.